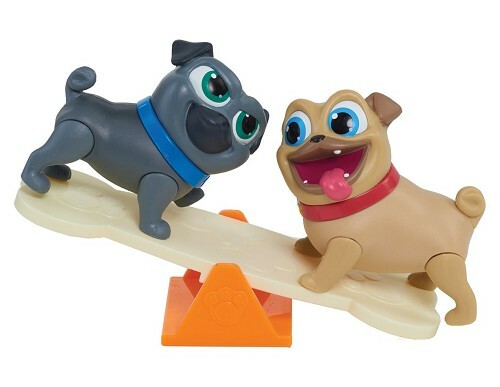 From Disney Junior’s new hit pre-school series Puppy Dog Pals, fun-loving pug brothers and best pals Bingo and Rolly love playing and exploring together! 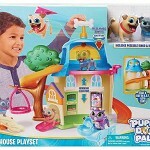 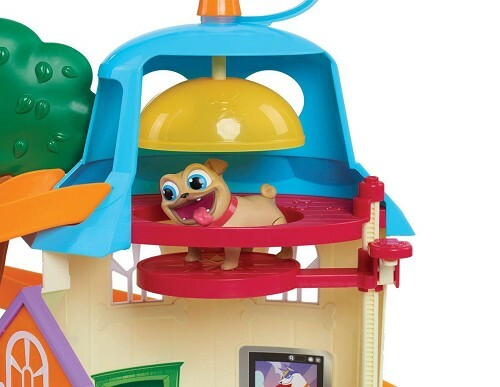 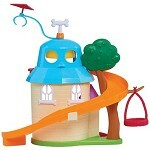 Kids can relive the fun with the action-packed two-story Puppy Dog Pals Doghouse Playset! 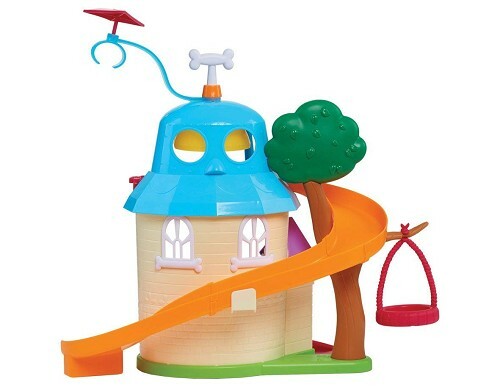 Bingo and Rolly figures can ride on the tire swing, take the elevator up and down, play on the seesaw, slide from the second floor into A.R.F., their robotic friend, and even fly on a glider around the roof! 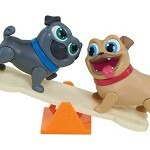 The playset includes 3” poseable figures of Bingo and Rolly, one A.R.F. 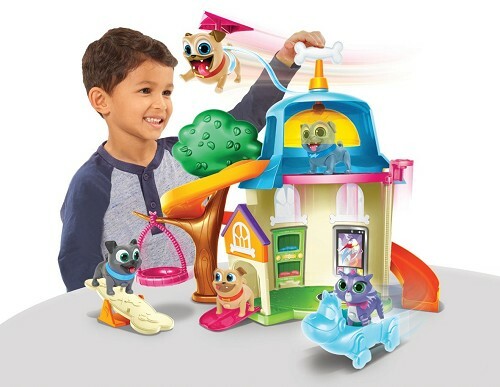 as a vehicle, and tons of exciting kid-powered features! 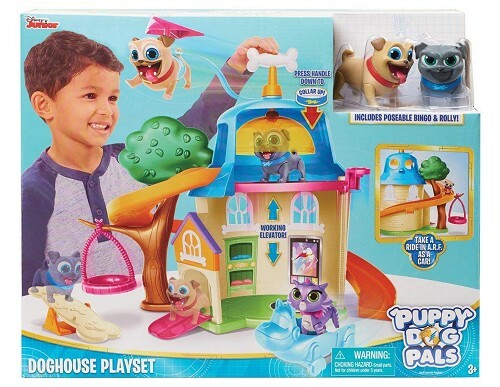 Ages 3+! 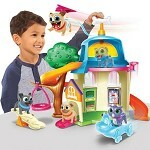 Set Includes: Bingo figure, Rolly figure, and A.R.F. 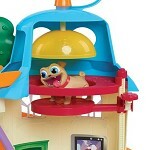 as a vehicle.